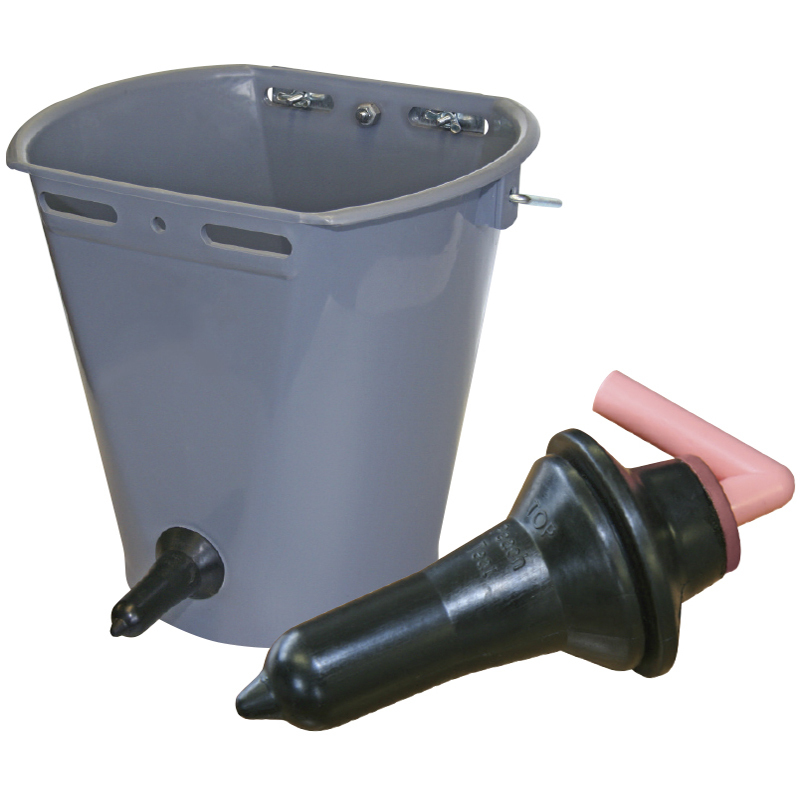 Manufactured to fit many commonly used calf-feeding buckets. Adapts all feeders with 3/4 inch holes to fit screw-on Peach Teats. Available for calf rearers who prefer to use standard nursing and hand-held bottles with threaded tops. A durable 6.34 quart (6 litre) feeder.